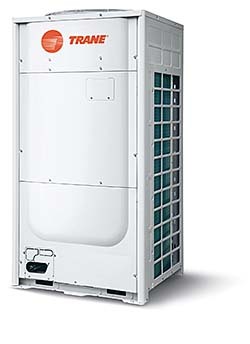 Advantage VRF systems feature a variable speed compressor with an asymmetric scroll design, and an upgraded vapor injection system. Available in 3- to 36-ton outdoor units to 1/2- to 7-1/2-ton indoor units. The ductless system offers zone-level control of individual indoor units and centralized-level control of up to 256 total indoor units in up to 16 groups.